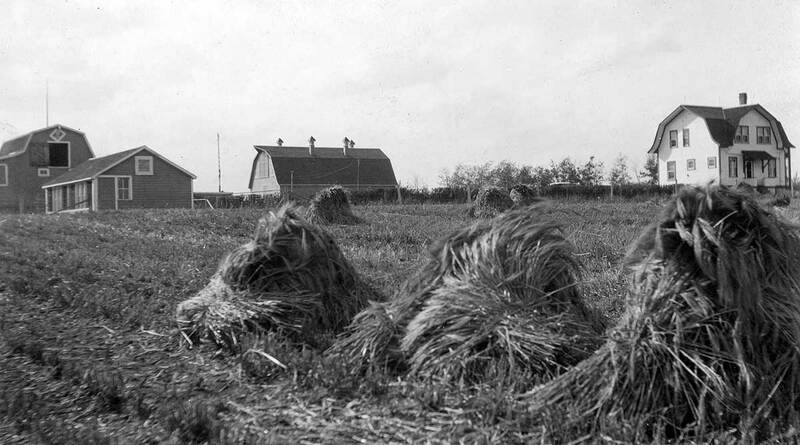 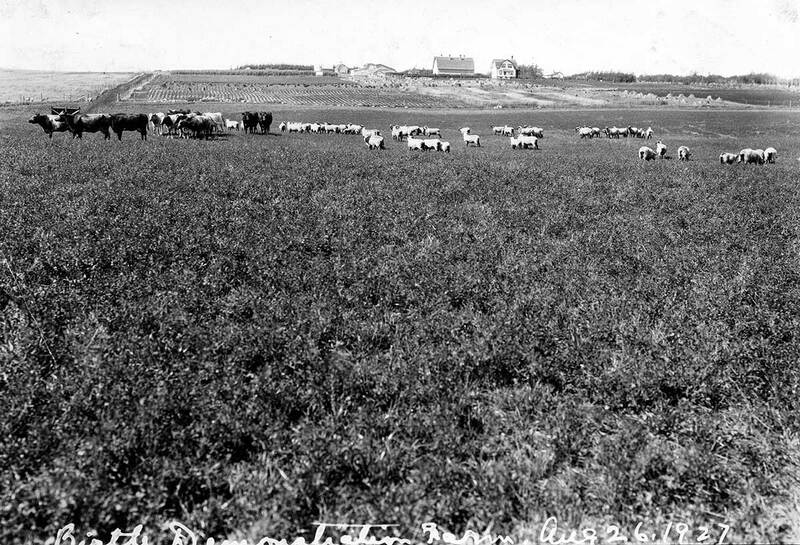 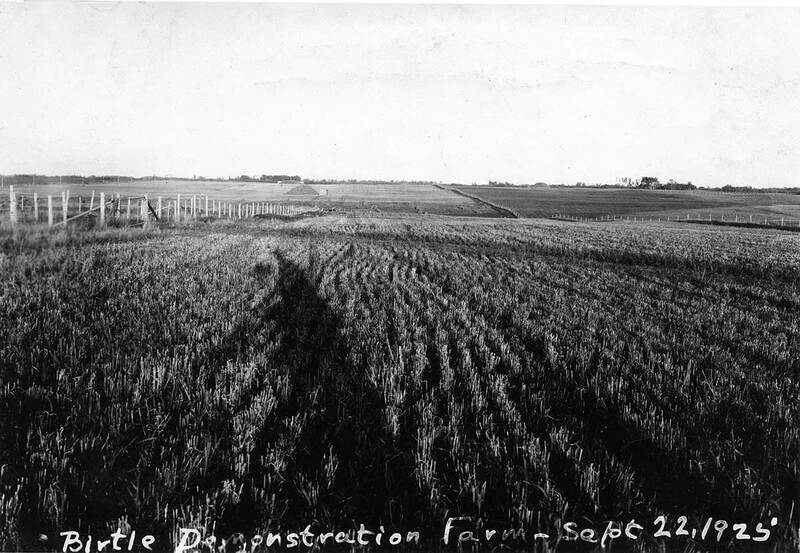 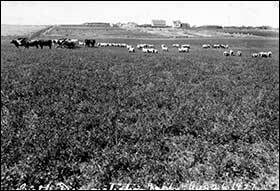 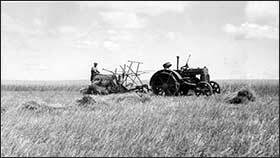 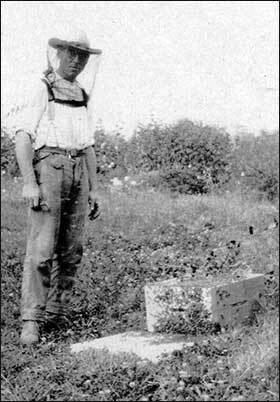 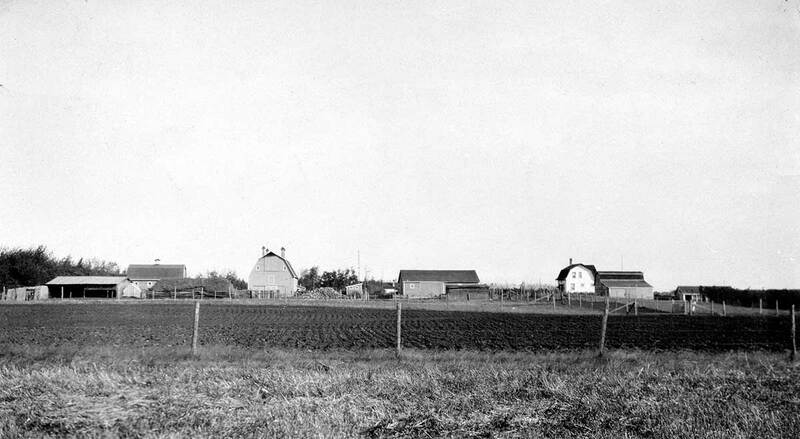 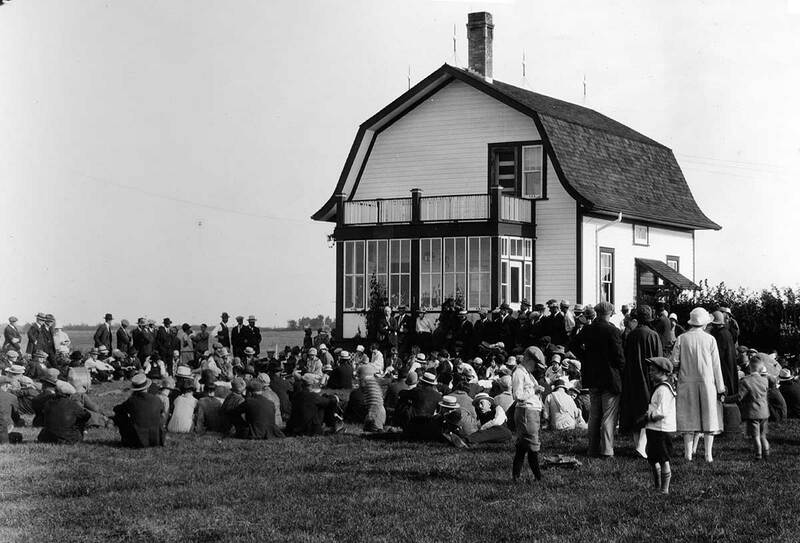 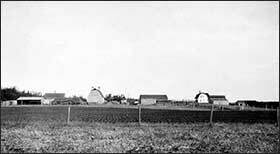 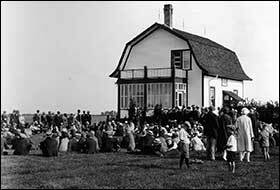 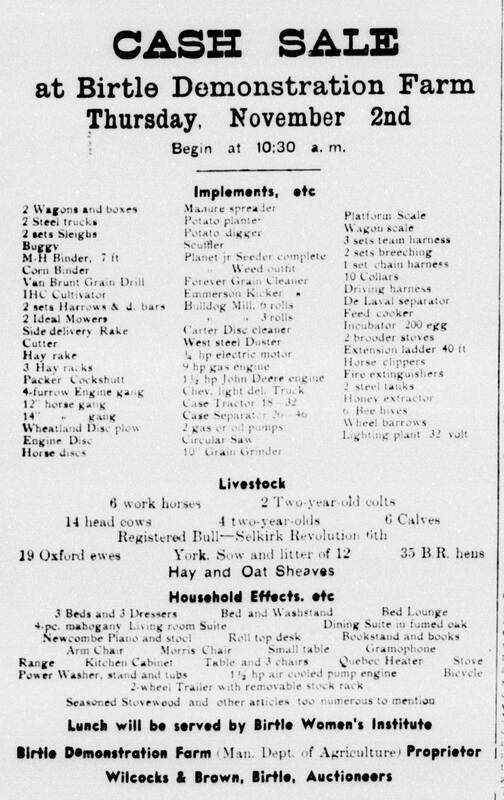 In 1917, the Manitoba government purchased a half section of land (N ½ 19-16-26) in the RM of Birtle for the establishment of a Demonstration Farm. 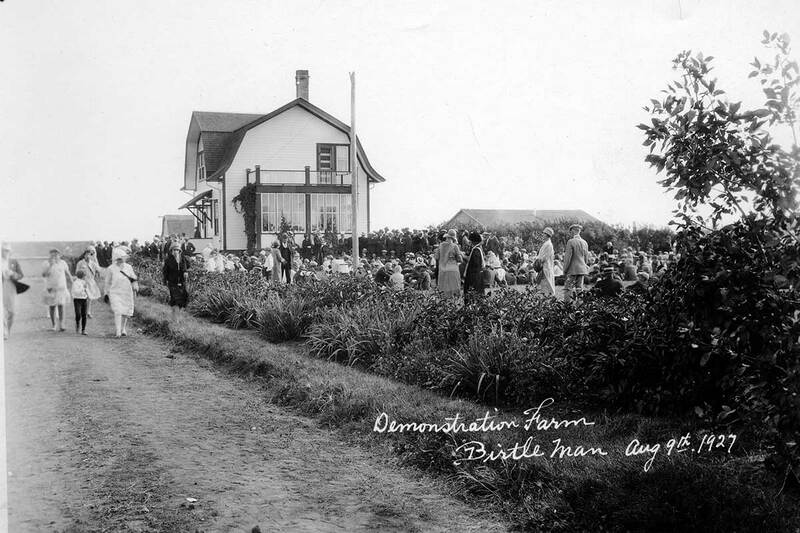 The Demonstration Farm was used to teach various agricultural techniques and effective farming practices while promoting crop varieties suited to this region of the province. 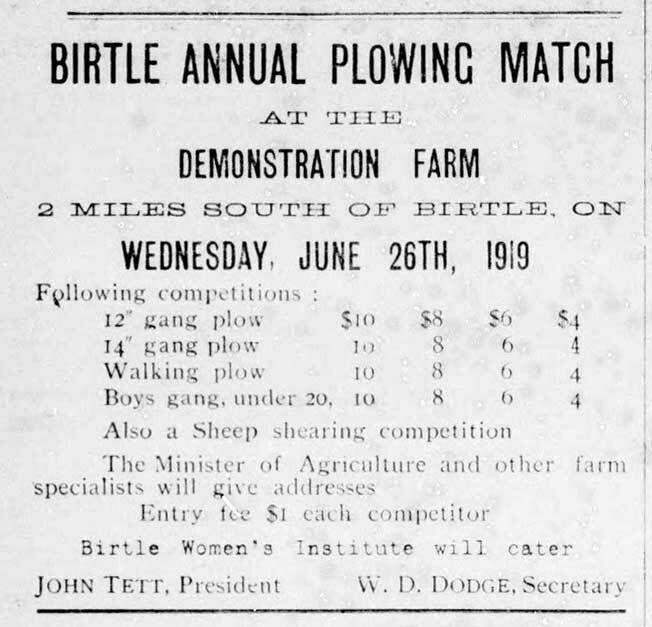 It was placed under the management of Mr. W. Pierce, who was well suited for the job as he had worked at the Experimental Farm in Indian Head, Saskatchewan, prior to coming to Birtle. 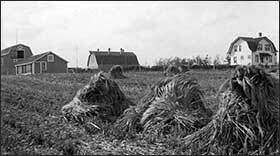 The half section had 140 acres of cultivated land that was reputed to be the weediest in the municipality. 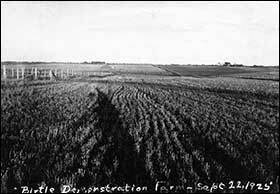 Mr. Pierce took on the challenge and successfully demonstrated that a proper crop rotation could control most weeds. 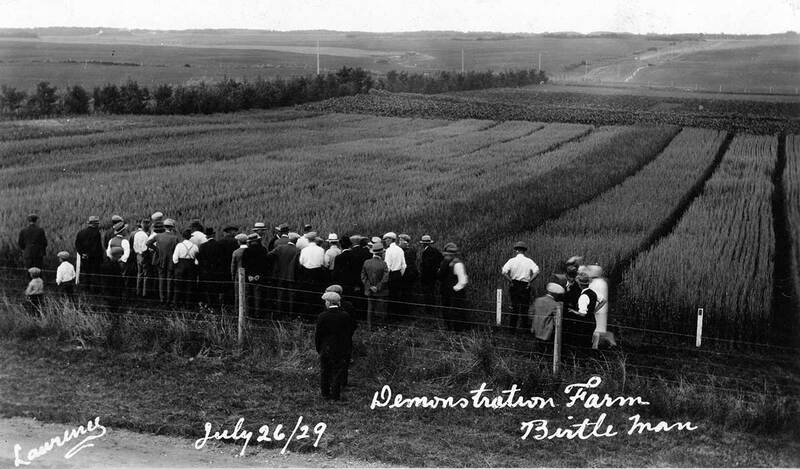 During its 22 years of operation, hundreds of men and women would turn out to attend the numerous conferences, workshops and Field Days held at the Demonstration Farm. 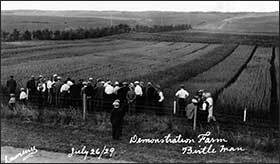 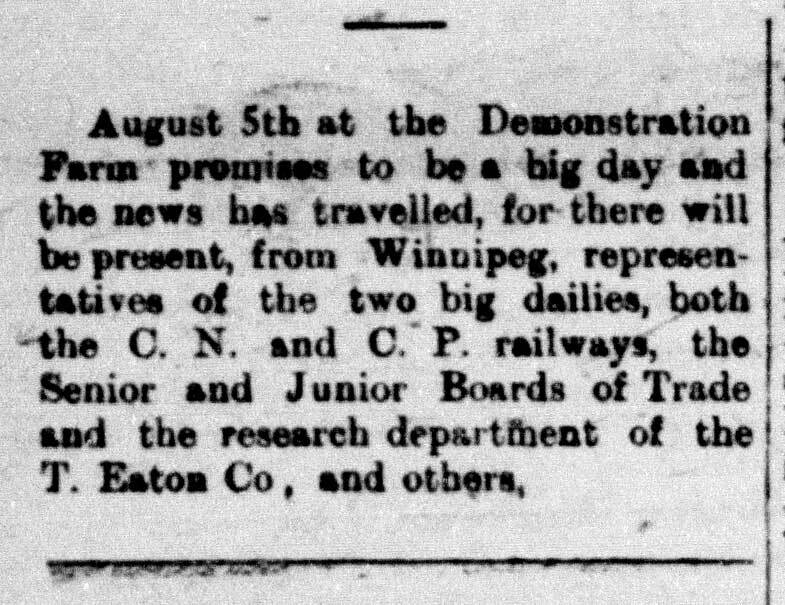 It was reported that some Field Days brought as many as 500–1,200 people out to the Demonstration Farm. 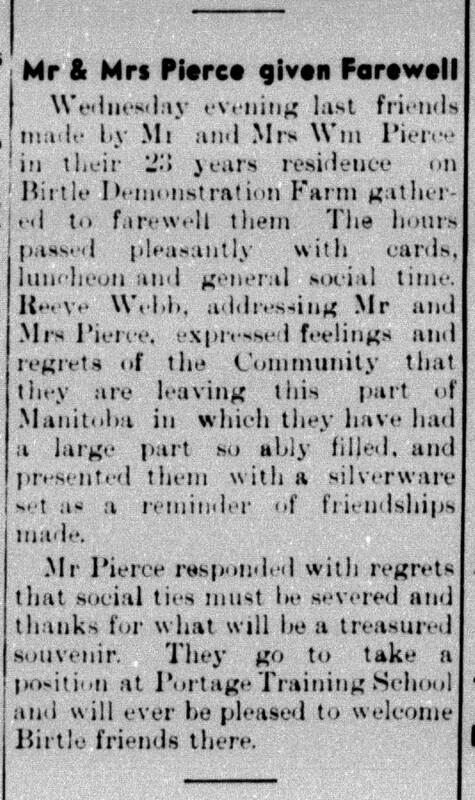 The government closed the farm in 1939 during the Second World War, and Mr. Pierce and his family relocated to Portage La Prairie.